Stacey Cohen Blass, Esquire focuses her practice on Marital and Family Law, handling matters involving Dissolution of Marriage, Paternity, Property Distribution, Spousal Support, Timesharing/Custody, Child Support, Relocation, Alimony, Pre and Post Nuptial Agreements, Modifications, Contempt and Enforcement, Domestic Violence and Dependency. Attorney Blass has extensive trial experience, an aggressive courtroom presence, and had creatively guided clients through complex mediations creating solutions that will benefit their families. Prior to founding Cohen Blass Law, P.A., Stacey was an Associate Attorney for a prominent Fort Lauderdale Law Firm handling Complex Family Law Litigation among other Family Law matters. She has served as an Adjunct Professor at Nova Southeastern University, Shepard Broad Law Center, instructing students who are preparing for the Florida Bar Examination. Stacey received her undergraduate degree from Brandeis University. She received her law degree from Nova Southeastern University Shepard Broad Law Center where she was a Broad Fellow, President of the Jewish Law Student Association, member of the Faculty Appointments Committee, and an advocate and coach of the Philip C. Jessup International Moot Court Team. She is licensed to practice law In New Jersey and Florida and is also admitted federally to the Southern District of Florida. 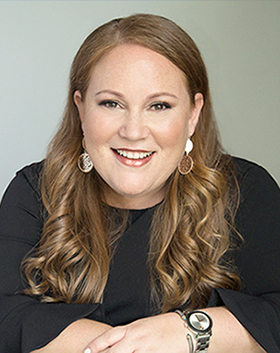 Stacey is involved in the community through involvement with the Jewish Federation and sits of the Board of Directors of Hillel of Broward and Palm Beach.